The key principle in the Masterpiece Cakeshop case was litigated in 1968. A cake maker has as much right to discriminate against gay customers as a BBQ shop has a right to discriminate against black ones: None. 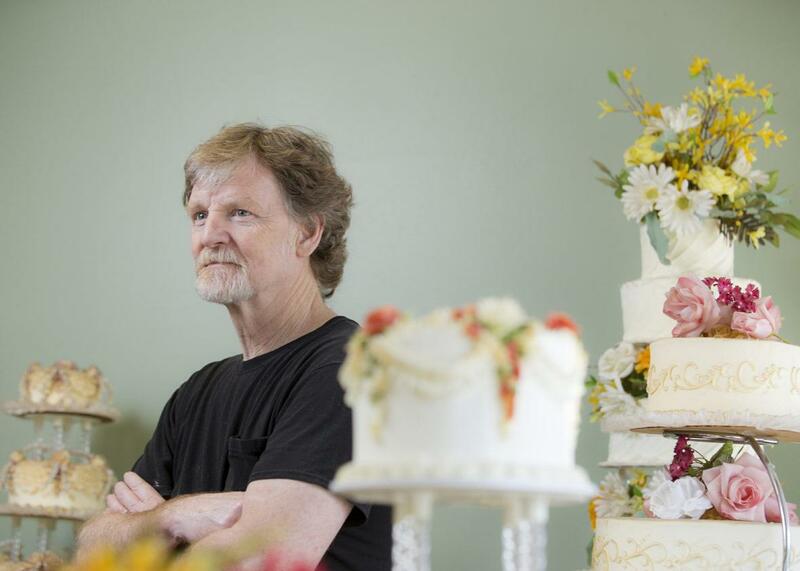 Jack Phillips stands for a portrait near a display of wedding cakes in his Masterpiece Cakeshop in Colorado on Sept. 1, 2016. Judging from the coverage surrounding this week’s blockbuster case, Masterpiece Cakeshop v. Colorado Civil Rights Commission, it might seem that the legal clash between religious liberty and discrimination in public spaces is a modern controversy that the Supreme Court is just catching up to. But more than 50 years ago, John W. Mungin, a black Baptist minister, was threatened with deadly force and told to leave a famous South Carolina barbecue restaurant—all because its owner held to the belief that the races should be kept strictly separated. “He put a pistol to my head,” said Mungin, 84, as he recalled the time he tried to eat at Maurice’s Piggie Park, a chain of drive-in restaurants renowned for its bright mustard-based sauce and the views of its founder, Maurice Bessinger, who in life was an avowed white supremacist. Mungin, who is now retired and living in Brooklyn, New York, doesn’t remember exactly who met him with a shotgun at the Piggie Park on Main Street, a few blocks away from the South Carolina statehouse in downtown Columbia. But he was determined he’d one day assert his right to eat there. “I left, but I said, ‘I’ll be back,’ ” he told me recently. The law happened to be on Mungin’s side. He was shunned in July 1964, just days after Congress passed Title II of the Civil Rights Act of 1964. Legally and literally, the law opened the door to blacks in all of the United States, but particularly in the South, “to the full and equal enjoyment” of places like Piggie Park. “Plaintiff was not served and was required to leave the premises solely because of his race and color,” read Mungin’s lawsuit against Bessinger in federal court, filed months later with the help of local South Carolina attorneys and the NAACP Legal Defense Fund. Looking back, Hemphill Pride, one of the local attorneys who helped litigate the case against Bessinger in the District of South Carolina, recalled that he and the Piggie Park owner happened to share a flight back to Columbia after the Supreme Court heard arguments in the dispute. * They didn’t exchange words, but they didn’t have to. “The irony of the situation is that his religion didn’t keep him from riding next to me,” Pride, who is black, said with a chuckle. In his 2001 autobiography Defending My Heritage, Bessinger would declare that the forces for equality behind the Civil Rights Act were part of a larger unholy alliance threatening America: “I have concluded that the civil rights movement is a Satanic attempt to make it easier for a global elite, a group of extremely wealthy men with no Constitutional or national or cultural loyalties, working at an international level to eventually seize power in this country.” He died in 2014. Today, the next generation of Bessingers is eager to move forward and leave Piggie Park’s ugly past where it belongs. There’s a certain allure to the notion that the state cannot compel a person of faith to express support for beliefs he or she disapproves of. Freedom of religion and speech are as enshrined in our Constitution, as well as equal protection of the laws. But if the Civil Rights Era and ensuing court decisions grappling with this tension teach us anything, it is that faith alone cannot override society’s compelling interest in equality for all. If it did, all Bessinger would’ve had to do to prevail against Mungin and other black patrons was to claim that his world-class barbecue—which can be considered both an art form and a political statement in the South—is a type of expression that cannot contravene his deeply held beliefs about blacks. And that the government cannot penalize him for declining to create art that’s against those beliefs.